SensorDAQ is a USB data-acquisition interface from National Instruments and Vernier that offers convenience and power to engineering students. The SensorDAQ interface is perfect for teaching NI LabVIEW or for building sensor-control student projects using NI LabVIEW software. 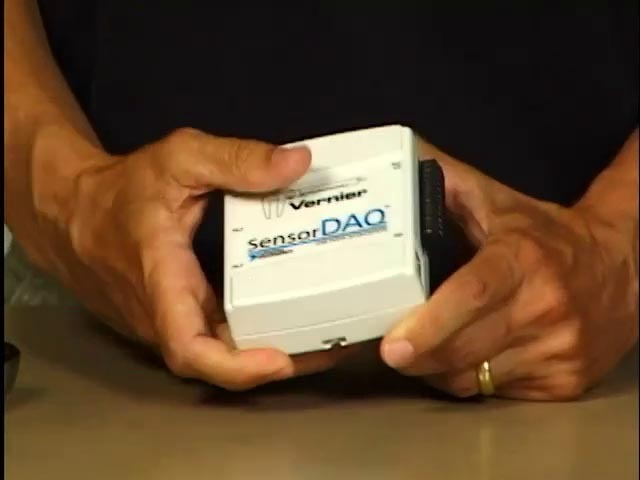 Included are four channels for a quick and easy way to add Vernier sensors without external wiring or signal conditioning. There is a screw terminal for digital I/O, analog output, counter, +5 Volt line, and 2 more analog inputs to build circuits, create custom sensors, control RC servo motors, turn on electronic devices, and more. Our package combine the SensorDAQ with sensors recommended for engineering. Buy the package that best suits your budget or needs, or use the package as a starting point to building your own package. Engineering Projects with NI LabVIEW Package are designed for the projects in the Engineering Projects with NI LabVIEW and Vernier. This book will introduce NI LabVIEW programming through a series of hands-on exercises using Vernier sensors and SensorDAQ. Besides learning the basics of NI LabVIEW programming, your students will get started collecting and analyzing data. This enhances the learning experience and helps them move to the stage of creating their own custom programs and independent projects. This book assumes a basic understanding of the NI LabVIEW programming language. This book introduces many important science and engineering concepts, including analog and digital input, sensors and how they are calibrated, feedback and control, analog and digital output, servo and stepper motors, PID control, pulse-width modulation, voltage dividers and Wheatstone bridges.